By the time Normand got to the Mission, his life was hanging by a thread. 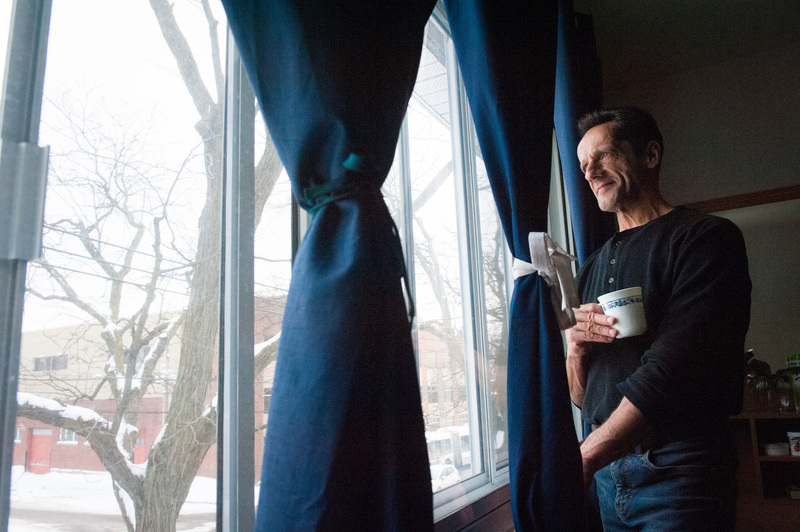 After nearly 38 years of struggling with alcohol and drug abuse, he found himself going from one Montreal shelter to the next. He was surviving on the bare essentials: food, shelter and clothing. He knew that he couldn’t go on this way for much longer. He had lost two marriages, two houses, his job, and eventually lost touch with his daughter, his friends and himself. Normand had given up on life and contemplated ending it all. Living with two life-threatening diseases, hepatitis C and HIV, Normand’s health was rapidly deteriorating. 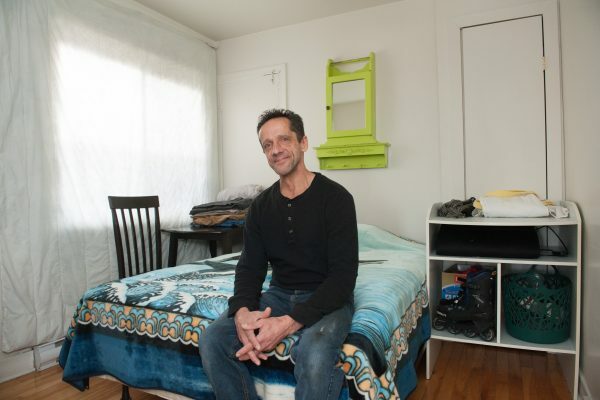 He began hepatitis C treatment as part of the PASS Program at the Mission, which offers a medical follow-up and bed in a small private space to rest and recover. Positive results indicating that his hepatitis C was diminishing and encouragement from his PASS counsellor were enough motivation to keep Normand going with the treatment for six months. 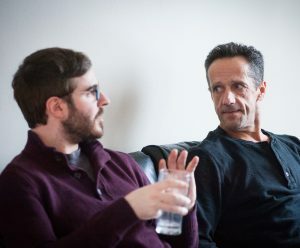 Normand (right) consulting with his Projet Logement Montréal counsellor, Jean-François Lamothe (left). After the hepatitis C treatment, he continued his efforts with the help of intervention counsellor Jean-François Lamothe to look for a place of his own and begin HIV treatment. When Normand started working with Jean-François, he was still at the Mission. 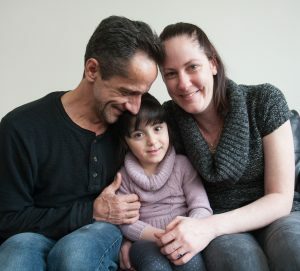 They began talking about getting him an apartment through the social housing program Projet Logement Montreal (PLM), and perhaps a job down the line. 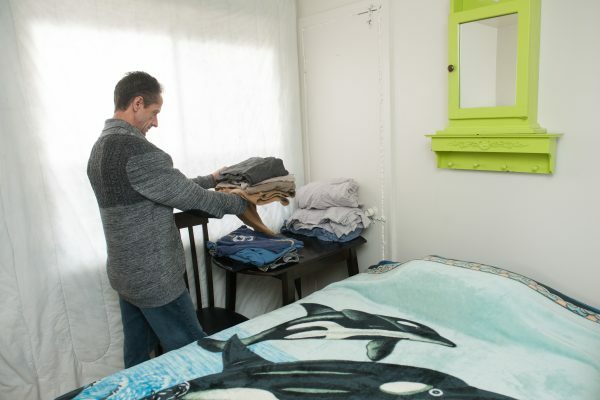 According to Jean-François, getting mentally prepared to move into an apartment, to taking on the responsibility of living independently can be a lot to ask of someone who has not lived alone and between closed walls for a long time, but Normand pulled through. 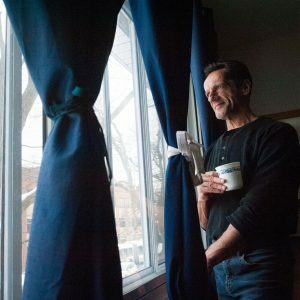 “Normand had done a lot of work before moving into his place, notably hepatitis C and HIV treatment, but he also puts a lot of effort into abstaining from drug and alcohol use, which he doesn’t mention as much, but he really does,” Jean-François proudly explained. Normand taking a moment to tidy his kitchen. Normand’s place is in a quiet, residential neighbourhood near many conveniences, like the gym he frequents regularly. 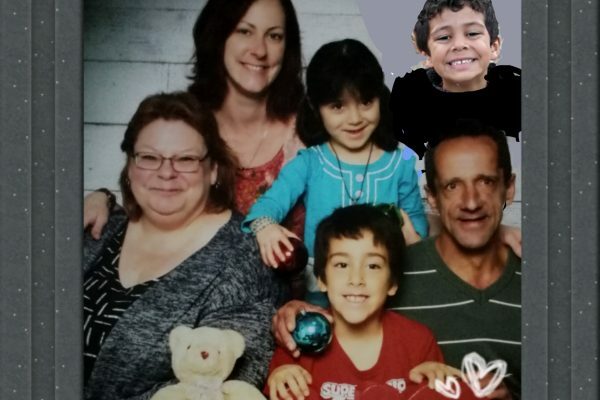 Most importantly, he’s not too far from his daughter, Lindsay, and her three children, whom he reconnected with during his recovery. Now, he sees his daughter and grandchildren almost every day and gets to help take care of them. Normand with his daughter, Lindsay (right) and his granddaughter (center). Lindsay is grateful to have her father back in her life as well, and explains how they help each other. 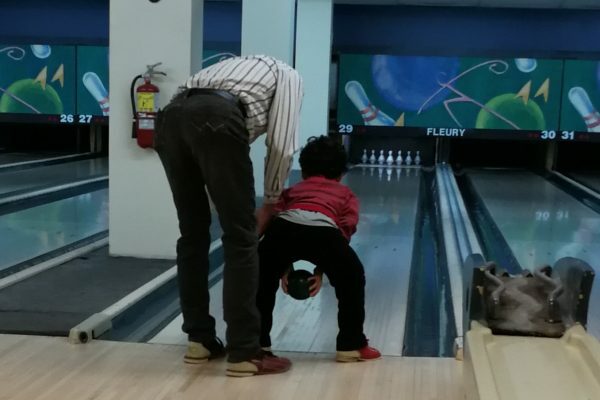 “I’ve been on disability, so my dad has been a huge help. If it wasn’t for him, I’d probably be in the hospital resting. He’s here pretty much every day. I pick him up and he helps me with dishes, sweeping, mopping, laundry, lifting anything heavy, since I hurt my shoulder. We pick up groceries together and then I cook for everyone, so he doesn’t need to cook. Lindsay has many happy childhood memories of her father, when they would play in the snow and build igloos in winter. “One time, we made an eight-foot snowman and had to put the head on from the bedroom window! We had our picture taken for the local newspaper,” she recalls fondly. Normand enjoying a cup of coffee in his cozy Ahuntsic apartment. Jean-François believes that the turning point for Normand was to get up one day and say, “I’m over with this addiction,” and recognize that the power to improve his life was within him. Lindsay recently signed a letter sharing her dad’s story to help others facing similar issues and to raise awareness about homelessness. Read it here.